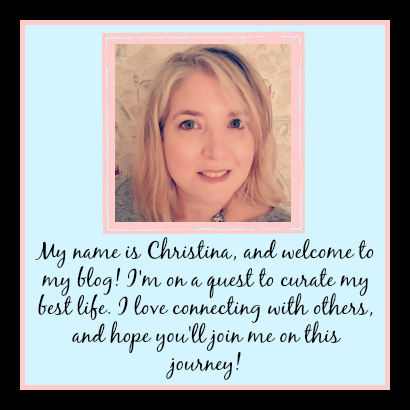 If you've been reading this blog for awhile now you should know how much I love reading nonfiction, mainly of the spiritual-memoir-self help variety. And as someone who has struggled with depression in the past, I love reading about happiness (part of why I enjoy Gretchen Rubin and her happiness project so much!). 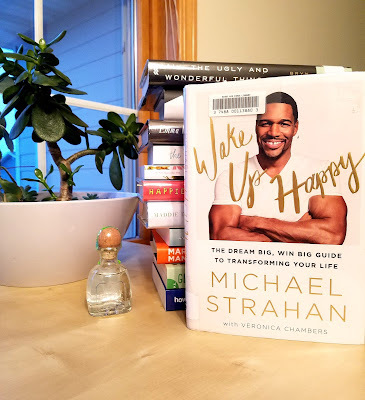 So while looking for something else in the stacks of my library I stumbled across this book by Michael Strahan and thought I would give it a try. 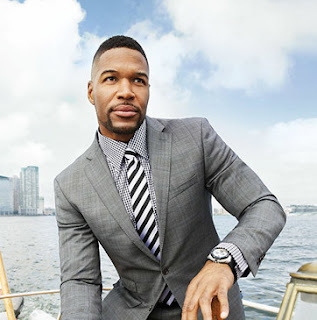 To start with, and to be truly honest with you, I know very little about Michael Strahan. I could probably sum it up by saying, I know he played football...he is a military kid...and Kelly Ripa was furious when he left their morning show. At best, I have seen a few clips on YouTube of that show...mainly because I'm at work during the day...but I also rarely watch regular television. I guess what I'm trying to say is, he could have a bad reputation...there could be horror stories on the internet about him, and I probably wouldn't know about it. So I kind-of came into this book as a blank slate. BUT, I once saw a clip of him dancing with the Rockettes...and it blew me away for some reason. Here was this big ole football player high kicking with them, and making it look easy! And every clip I had seen of him on television, he just seemed like a genuinely happy and friendly kind of guy. So I thought I'd give his smallish (196 pages) book a whirl and see if it had any useful gems in it's pages. Wake Up Happy is part memoir-part self-help, and written with the aid of author Veronica Chambers. It was published in 2015. Each chapter starts with a "Strahan Rule" such as "Dreams Don't Work Unless You Do" and "It's natural to have doubts. But hit pause before you out-and-out quit"...and then the chapter tells a story from his life that relates to his Rule. I found it interesting how he hadn't grown up playing football, and struggled with his weight when he was young. And the relationship he has with his father is the stuff of parenting books. This boy was loved! So I think you could learn a lot about determination and perseverance from his struggle to become a football player, and a great one at that. The latter chapters I didn't enjoy quite as much mainly because there were so many holes in his life story since it wasn't a straight memoir. It is written as if every reader already knows about his ugly divorces, or his struggles to have joint custody with a couple of his children. And I personally don't know the stories, so I felt a bit lost. I also thought that in the later chapters you could really hear his co-writer, which I thought was a bit odd. There were a few inserted bits of happiness advice thrown in from other authors, and quotes from other people ABOUT Strahan that felt like they were thrown in at the end of his story as filler. But that filler held actual practical advice on putting some of his Rules into practice...and I love when this style of book actually gives you something you can try. So I give it a solid 3 stars. There is an epilogue about women and finding love that in my opinion should've been left out, as it doesn't fit the tone of the rest of this book and reads a little odd. BUT he gets bonus points for having a playlist included of his Happy Songs. I'm a huge music freak, and any book with a playlist gets a big boost in my eyes. I loved his ideas about listening to music in the morning to get motivated to have a good day. That is an applicable tip I plan on incorporating into my daily life.